Okay. Not all of it. Just one week. But what a week! 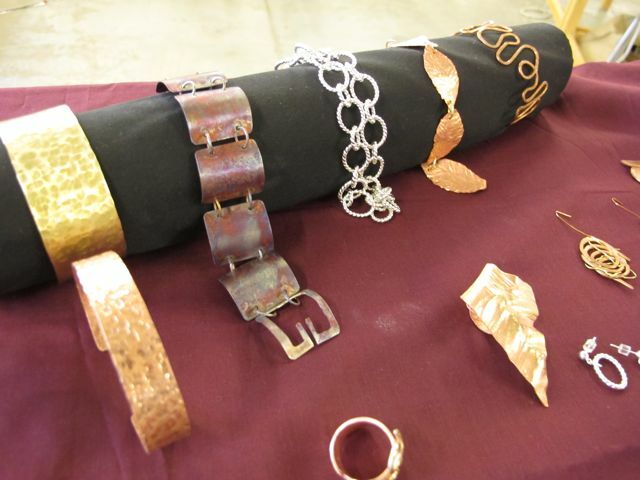 The class was taught by Calgary goldsmith and metal artist Linda Chow. Not only does she do beautiful work she’s an amazing instructor. She seemed to know exactly when to introduce new ideas and techniques so that we weren’t overwhelmed but also weren’t waiting to tackle something new. 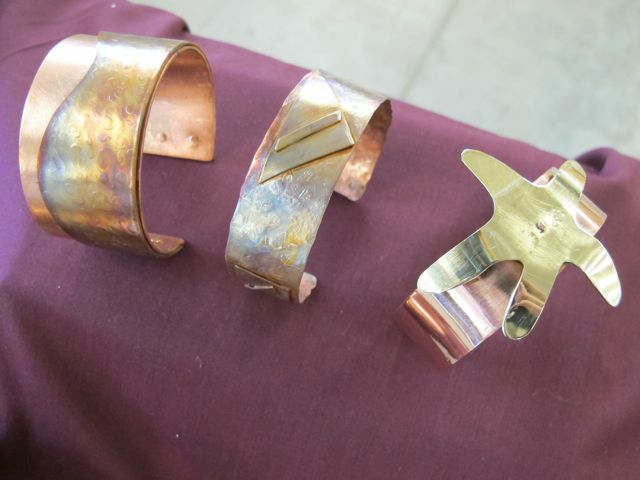 The course focussed on working with metal, mainly copper and brass. 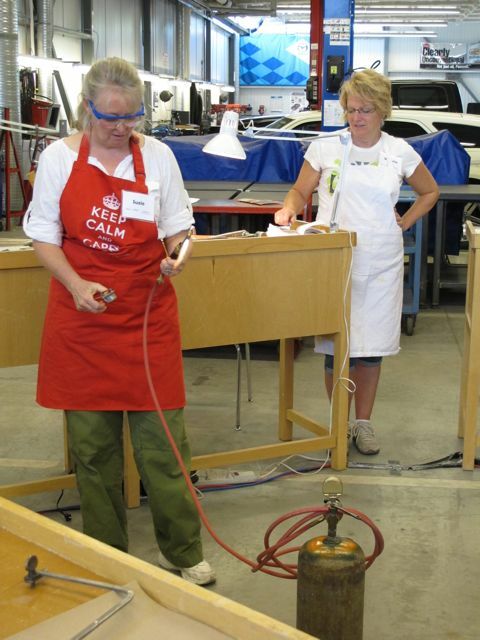 There were 11 women in the class and although a few had done some work with metals most of us were beginners. 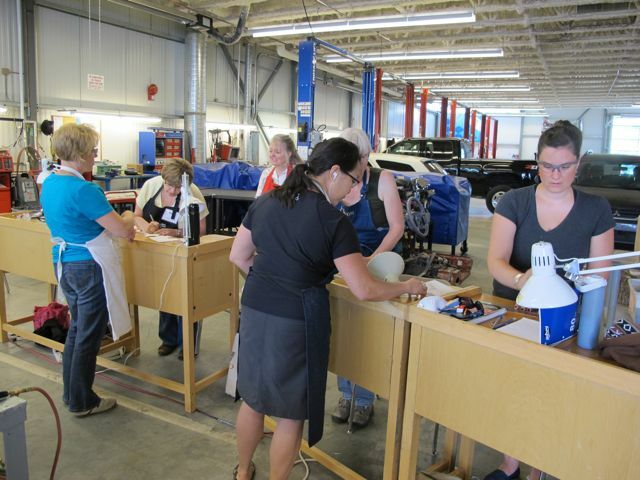 We learned so many things — cutting and sawing, sanding and polishing, riveting, soldering, layout and design, colouring. The women in the class were such a creative group, sharing ideas and offering feedback. As the days unfolded the techniques we were learning began turning into wearable art. 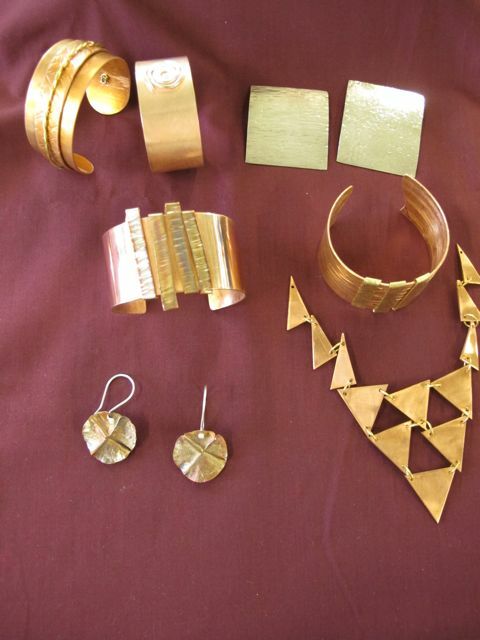 By the end of the week, our classroom looked like a jewelry store. 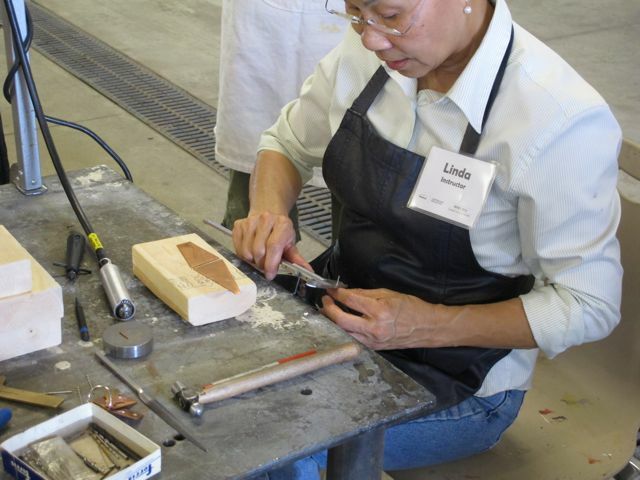 In addition to this introductory class Linda also offers a week-long self-directed course. I’m already looking forward to taking that one next summer! 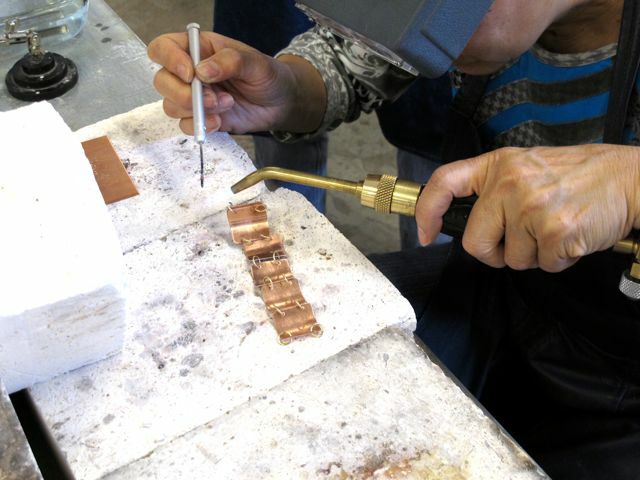 Categories: Handcrafted Jewelry | Tags: jewelry class, techniques | Permalink.